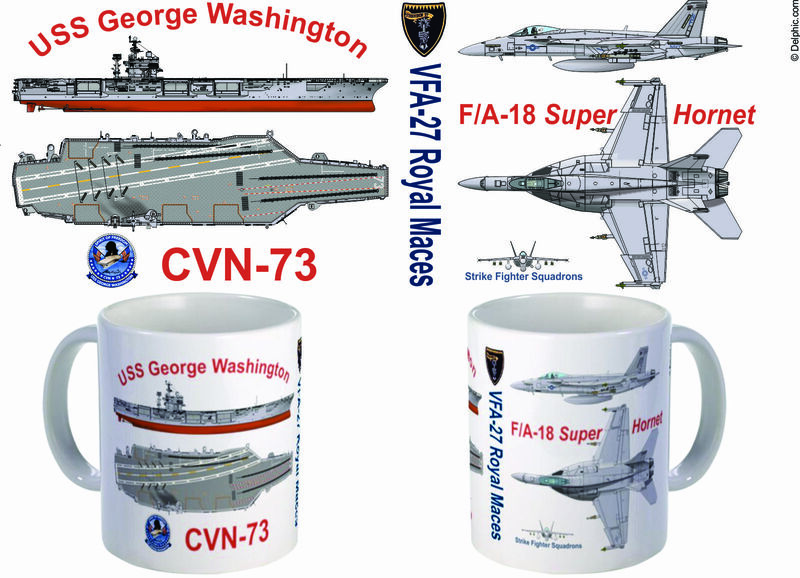 In Naval Aviation, you cannot separate the airplane from the aircraft carrier and this design reflects that fact. The F/A-18 Super Hornet is on one side and a Nimitz-Class aircraft carrier on the other side. Opposite the handle, the squadron's emblem and name is displayed. 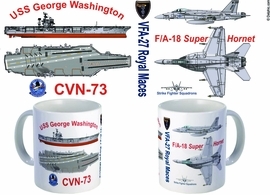 You can select which Nimitz carrier you want to depict as well as the variant of the Super Hornet. We also will depict any squadron and serial number for no extra charge. Our mugs are made with the latest state of the art printing methods. Unlike many mugs available, the ink is extremely bright, color accurate and stable. These beautiful mugs are dishwasher and microwave safe.